The Tennessee Advanced Energy Business Council is featuring the companies benefiting from the Energy Mentor Network program, which offers industry specific expertise from experienced mentors. The Energy Mentor Network‘s goal is to foster the growth of Tennessee advanced energy technologies and startups by connecting entrepreneurs with mentors. This gives Tennessee yet another advantage in grabbing its more than fair share of the $1.3 trillion global advanced energy market. 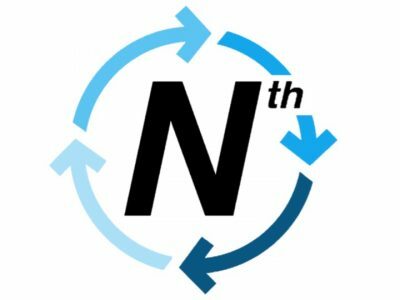 Nth Cycle is developing a recycling technology that utilizes carbon nanotube membranes for enhanced separation and recovery of solid rare earth and specialty elements (RESE)-oxides. If successful, this technology will provide a high-throughput electrochemical recovery process for recycling RESE as an alternative to the conventional energy-intensive extraction and refining processes currently used to obtain these metals for manufacturing. Megan O’Connor holds a PhD in civil and environmental engineering from Duke University and is co-founder and Chief Executive Officer of Nth Cycle. TAEBC is currently accepting applications from Tennessee advanced energy companies to apply for the Energy Mentor Network program. If you are interested in this opportunity, please visit the “For Startups” section of the Energy Mentor Network portion of TAEBC’s website. Nth Cycle is enrolled in ORNL’s Innovation Crossroads program. TAEBC and Launch Tennessee provide non-exclusive business mentoring services to the Innovation Crossroads Innovators. Ascend Manufacturing is focused on developing a manufacturing grade, additive manufacturing system, called Large Area Projection Sintering (LAPS), that offers many advantages over new and traditional additive manufacturing technologies. With LAPS, components can be economically created with increased production rates, reduced peak processing temperatures, and extended exposure times, which enable processing of a broader range of materials while also providing superior mechanical properties. Ascend Manufacturing is enrolled in ORNL’s Innovation Crossroads program. TAEBC and Launch Tennessee provide non-exclusive business mentoring services to the Innovation Crossroads Innovators. Lux Semiconductors‘ vision is to build the first ubiquitous flexible semiconductor platform, a Wafer 2.0. The birth of the modern electronics industry was largely predicated on a breakthrough in crystal growth, the Czochralski (CZ) method. The technique paved the way for the silicon wafer, a semiconductor platform used in over ninety-five percent of electronic devices today. However, the electronics industry is now entering a new era, one that demands ultra-thin and flexible devices with more functionality and at lower cost. The silicon wafer is thick, fragile, size restricted, and expensive and can no longer meet all modern demands. By leveraging a century of innovations in bulk crystal growth, and applying them to low cost thin-films, Lux will deliver a new class of flexible semiconductor substrates to serve as the next generation platform. With single crystal-like properties at price points significantly below existing competitors, Lux will enable new device architectures for flexible and lightweight electronics with improved performance and functionality. The platform is suitable to host a range of electronic components and fully integrated system-on-chip designs including sensors, RF, displays, lighting, processors, memory, MEMS, and photovoltaics. Lux Semiconductors is enrolled in ORNL’s Innovation Crossroads program. TAEBC and Launch Tennessee provide non-exclusive business mentoring services to the Innovation Crossroads Innovators. The Energy Mentor Network’s mentors had an opportunity to meet the Innovations Crossroads newly inducted second cohort at Oak Ridge National Laboratory and hear more about their exciting technologies and innovations. Selected through a merit-based process, these scientists and engineers will have access to world-class science expertise and capabilities at ORNL, including Titan, the nation’s most powerful supercomputer; the Manufacturing Demonstration Facility, DOE’s largest advanced manufacturing research center; and the Spallation Neutron Source, offering atomic-level insight into advanced materials. The innovators also will be partnered with a powerful network of mentoring organizations in the Southeast to help them develop business strategies to advance their breakthroughs to market, including the Energy Mentor Network which provides non-exclusive business mentoring services to the Innovation Crossroads Innovators. The Energy Mentor Network’s goal is to foster the growth of Tennessee advanced energy technologies and startups by connecting entrepreneurs with mentors and industry specific expertise. DeRosa is developing a high voltage electrolyte to significantly lower the cost and size of ultracapacitor modules. The resulting lower cost, smaller modules can be used in tandem with lithium ion batteries to dramatically improve the efficiency, range, and longevity of hybrid and electric vehicles. DeRosa is a doctoral candidate in nanoscience at the State University of New York at Albany and chief technology officer of Eonix. McMahon is developing a novel thin-film semiconductor recrystallization process that grows highly crystalline silicon and germanium thin-films as precursor substrates for flexible electronic devices. These flexible, large-area substrates will serve as a platform technology for thin-film transistors, sensors, displays, lighting, and photovoltaics. McMahon is a doctoral candidate in nanoengineering at the State University of New York at Albany and is founder and chief executive officer of Lux Semiconductors. Nussbaum is developing a manufacturing grade, additive manufacturing (AM) system, called Large Area Projection Sintering (LAPS), that offers many advantages over new and traditional AM technologies. With LAPS, components can be economically created with increased production rates, reduced peak processing temperatures and extended exposure times, enabling processing of a broader range of materials while also providing superior mechanical properties. Nussbaum is a doctoral candidate in mechanical engineering at the University of South Florida. O’Connor is developing a recycling technology that utilizes carbon nanotube membranes for enhanced separation and recovery of solid rare earth and specialty elements (RESE) oxides. This technology will provide a high-throughput electrochemical recovery device for recycling RESE as an alternative to the conventional energy-intensive extraction and refining processes currently used to obtain these metals for manufacturing. O’Connor holds a PhD in civil and environmental engineering from Duke University and is co-founder and chief technology officer of Nth Cycle. Smith’s new class of high thermal conductivity plastic composite material aims to improve heat dissipation, allowing for metal replacement and light-weighting, cost and component reductions, and improved performance and reliability. These materials also exhibit the unique ability to be 3D printed, allowing thermal engineers to rapidly and cheaply prototype multi-functional thermal solutions and enabling the design of heat transfer products that cannot be manufactured using traditional methods. Smith holds a PhD in materials science and engineering from the Georgia Institute of Technology and is co-founder and chief technology officer of TCPoly. Energy Mentor Network company Stone Mountain Technologies Inc. (SMTI) has closed on a Round-A investment vehicle with a strategic investor. The multi-million dollar capital infusion will allow SMTI to increase development velocity of its ultra-high efficiency space and water heating technology, supplementing the recently announced $2.7 million grant from the US Department of Energy. Stone Mountain Technologies, based in Johnson City, Tennessee, is an early-stage venture developing the next generation of high efficiency heating appliances for homes and businesses. SMTI’s technology, based on its gas absorption thermodynamic cycle, can be harnessed across a wide variety of applications, including space, water, and pool heating. SMTI is developing partnerships with original equipment manufacturers that sell heating appliances such as furnaces, boilers, and water heaters. SMTI will manufacture its core enabling technology in Tennessee. This enables OEMs around the world to offer customized appliances to their customers with total fuel efficiencies of approximately 140% and outstanding economics.